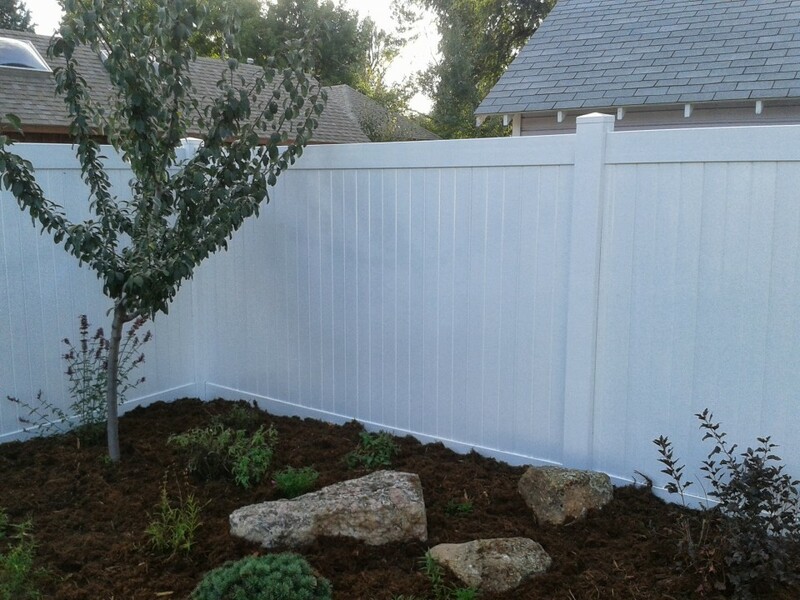 Our Experience with “The Deck and Fence Company” of Loveland, CO. 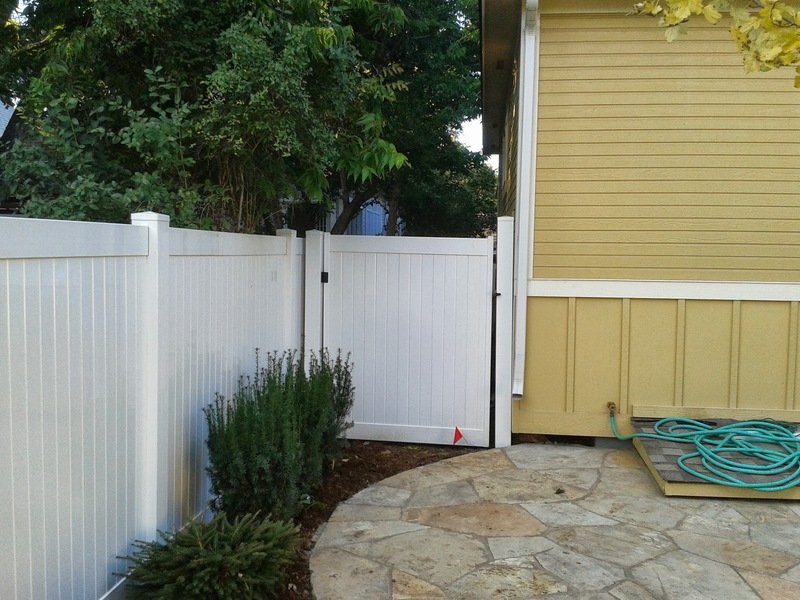 This company was recommended at the top of a three name list from Cedar Supply Co. when we inquired about building a six foot privacy vinyl fence. 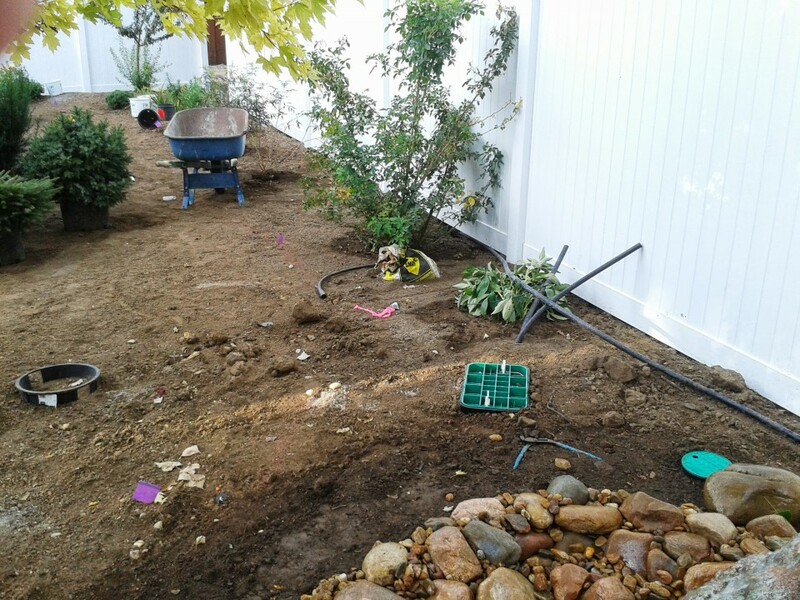 We were trying to keep the pricing within what we thought would be reasonable and coordinate the timing to not interfere or wreck the landscapers work. I’m sure there was a better way to do this. I am making this a photographically supported retelling so that others may make up their own minds on their dealings with this company. 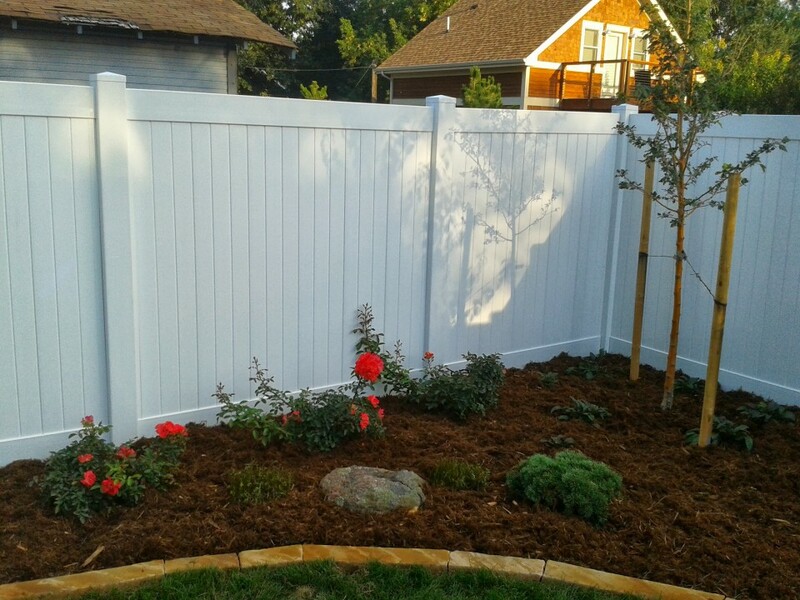 We started out with a picket fence we wanted to replace for maintenance and privacy issues. 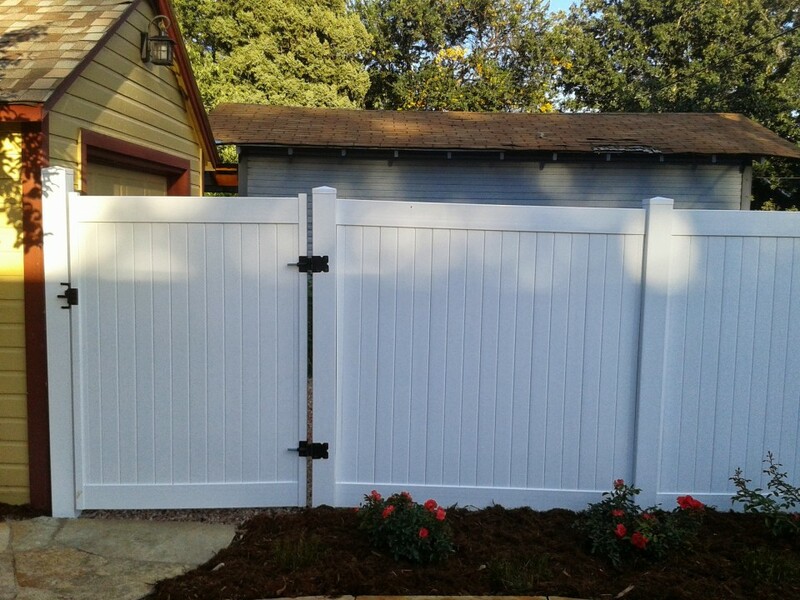 Once we gave the go ahead to the contractor we placed an ad on Craig’s list for free fence and I dismantled the fence by cutting out all the panels and loading them on the takers pickup truck. The posts I had left at the request of the fence contractor because he stated it would help his guys maintain their lines. 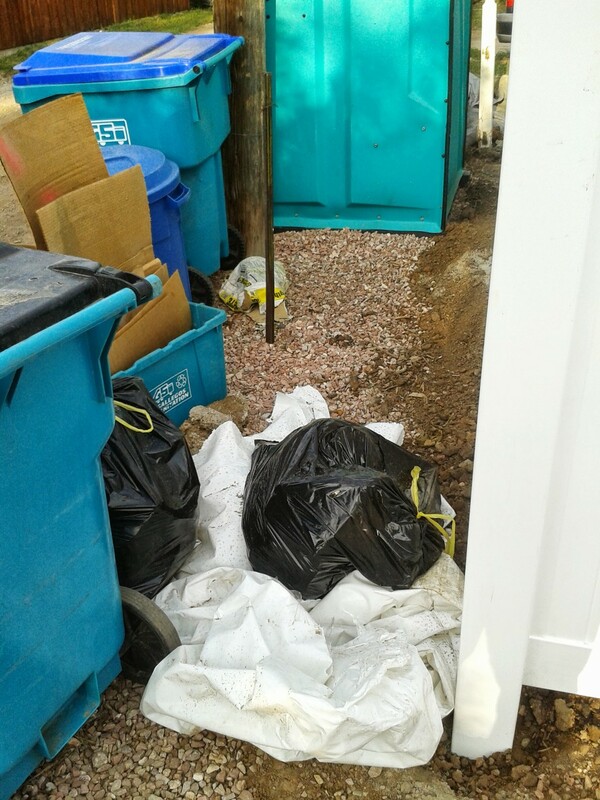 After several delays due to the contractor being notified that the Gas company wanted to have a person on site before they started digging materials were delivered into the street in front of the house. The fence contractor said they would remain there for at most a day. That was Wednesday and his guys did not show up to start work until Saturday afternoon. 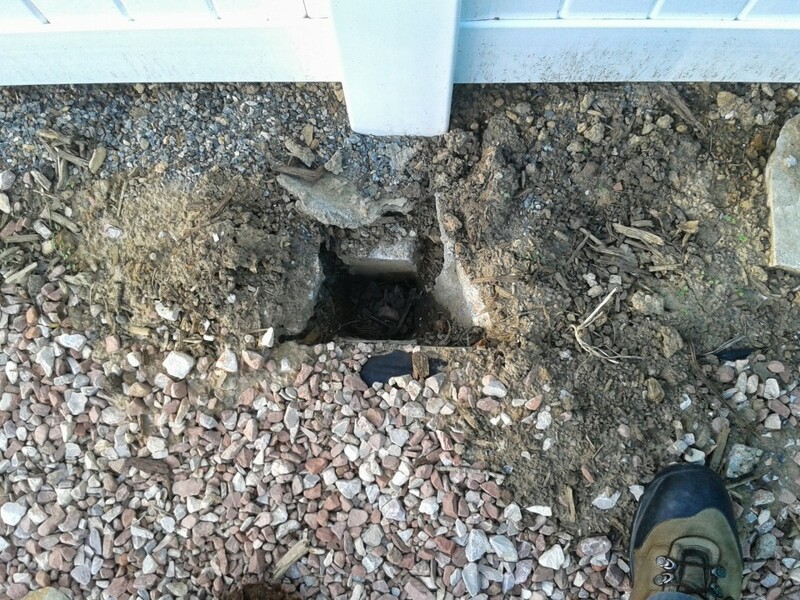 Day 1, two guys show up and start digging post holes casting old fence posts onto the neighbors lawn and letting the dog they brought with them defecate on the neighbors lawn. 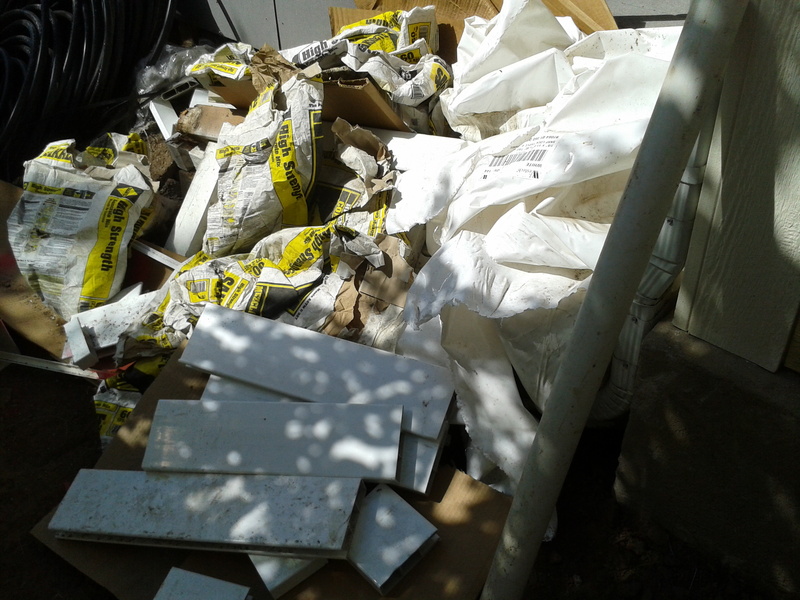 As the home owners, we cleaned up after we realized they were gone for the day. This was more or less the routine with these guys every other to every third day because they claimed the landscapers were in the way. Speaking with the landscapers and working something out to get the work done might have been good about now. One of the most memorable encounters was an employee showing up at seven am on a Sunday morning to set posts by himself. I won’t get too far into the details but he had been in a fight the previous week and he was obviously not well enough to be doing this job. Never the less he did point out to me where an incorrect post had been set in concrete and needed to be replaced. Enjoy the pictures. 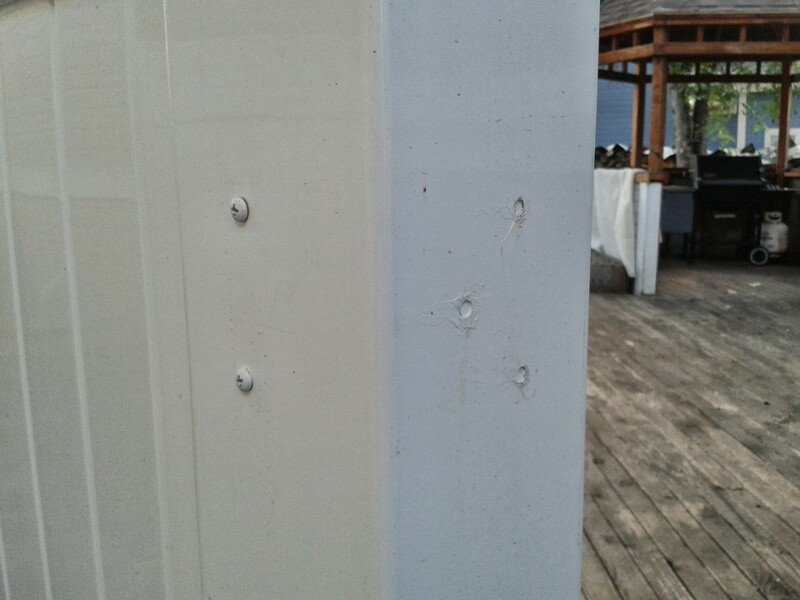 This sat against my house and deck for a week until finally my son and I had to clean it up to get it out of the way of the Landscapers who were showing up every day and getting their job done. Key point: Clean up the work site daily! See that yellow thing at the base of the rose bush. Yep, concrete bag. Sneaky little bugger. 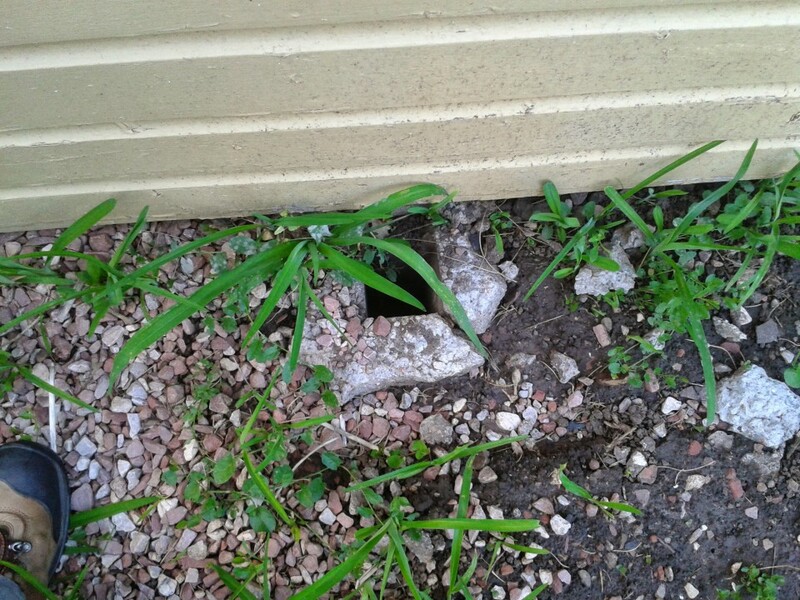 Here is evidence of another escaping concrete bag as it’s efforts are thwarted by my decorative grass and gas meter. Funny how all this could have been avoided by the appropriate use of a…wait for it…garbage bag and daily clean up. Eventual bagging of the concrete bags. Bagging credit goes to my son Garrett and myself. We’re still debating what we should have charged by the hour. Yes, that is another escape attempt at the base of the phone pole. Good spot! 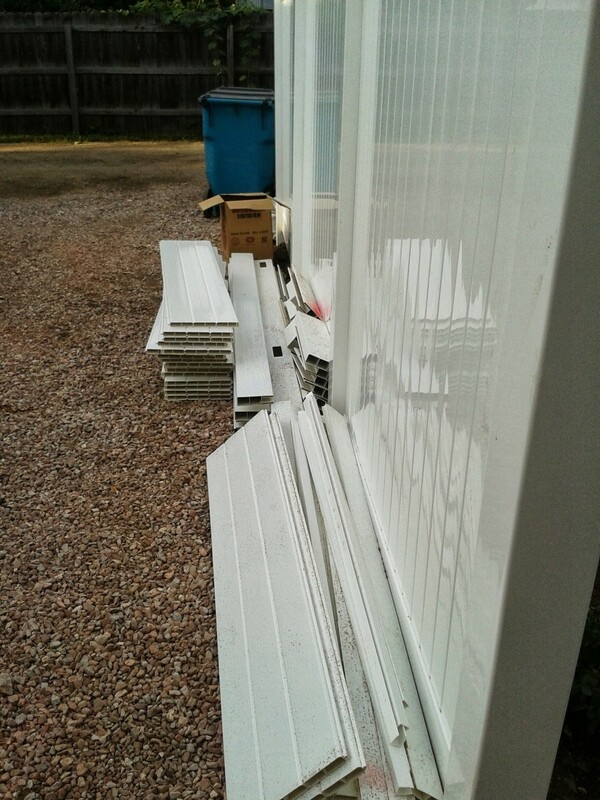 Garrett and I followed that up with stacking the fence contractors stuff all nice and neat in the driveway, out of the way of the other contractors on the site. 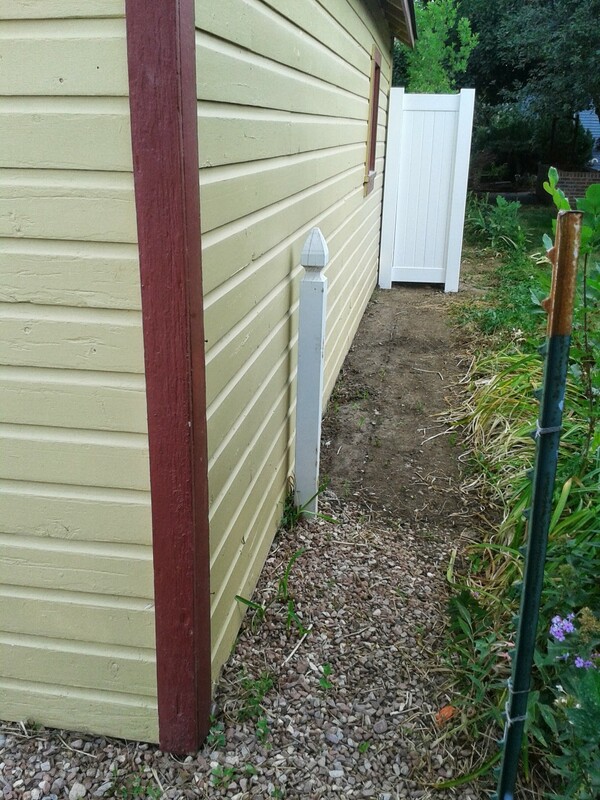 By the way, the other contractors aka landscapers hauled the remaining old fence debris. They got all but two posts and the old metal gate. We will revisit this later. Fence is in so why does this need to still be here? 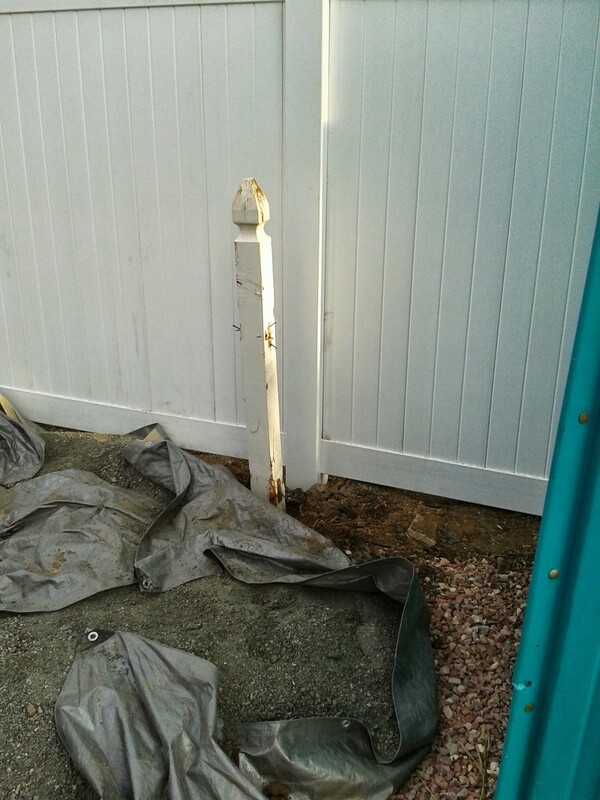 Another camouflaged fence post trying to escape removal. And here are the gravestone markers of the two previous pictured posts may they rest in peace after the fence guys have spent $330 worth of effort to get them out and remove them from the property. 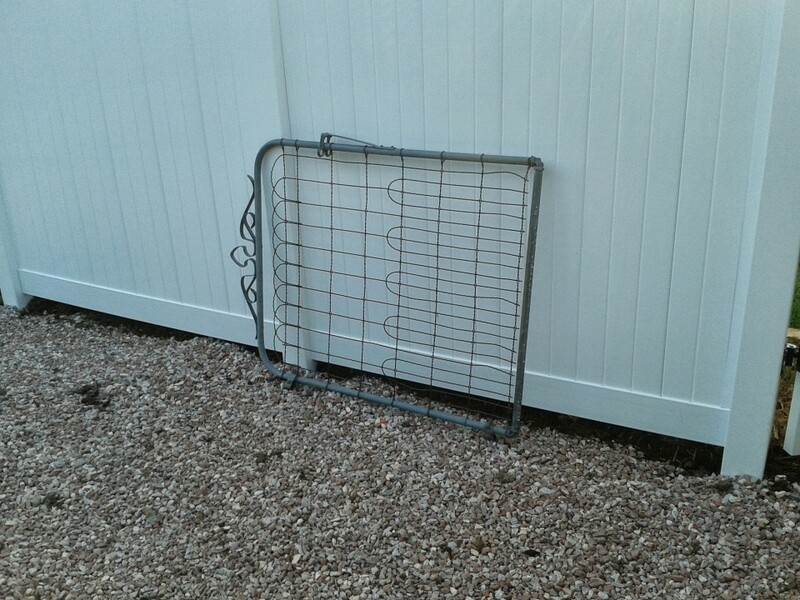 There’s the old metal gate by the way. I can see how that could escape. Let’s move on to the end product shall we? The backyard towards the alley. Southwest Corner. Anything jump out at you? In this picture of the section towards the driveway do you have any leanings one way or the other? How about now in regards to the Northeast gate near the front which was once a corner post set in concrete but was replaced with a gate post and had a gate hung on it within twenty four hours. 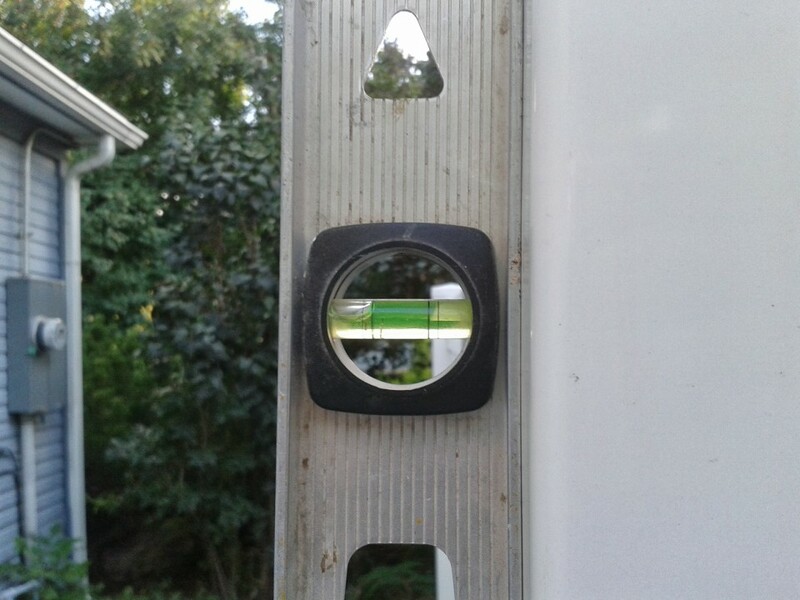 Maybe I’m not using the level correctly? Repairing after they hung the gate on the wrong post on the West side. Looks good as new doesn’t it? These have something in common, can your eye pick it out? Why is the post against the house half a foot higher? 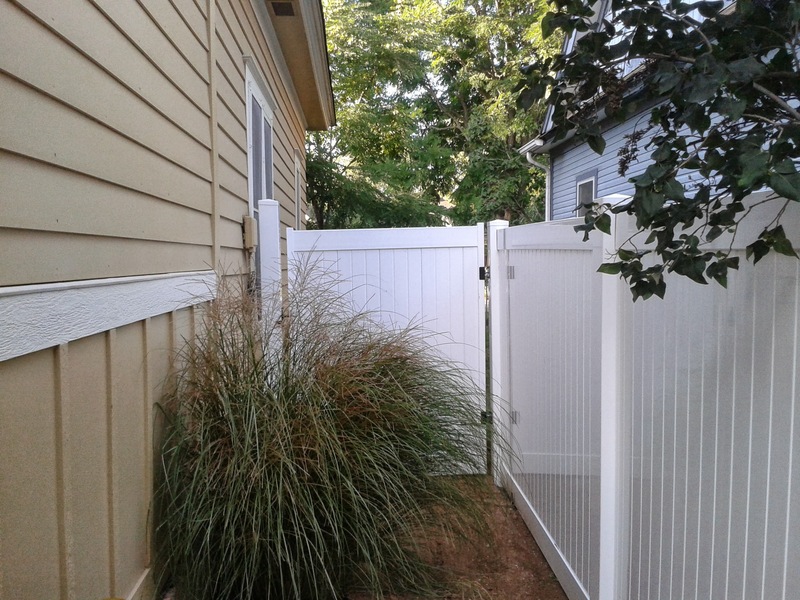 The fence is functional and when I realized we were just going to get more running around and excuses, potentially a lien on the house if I had to argue with this guy we paid him to get rid of him. 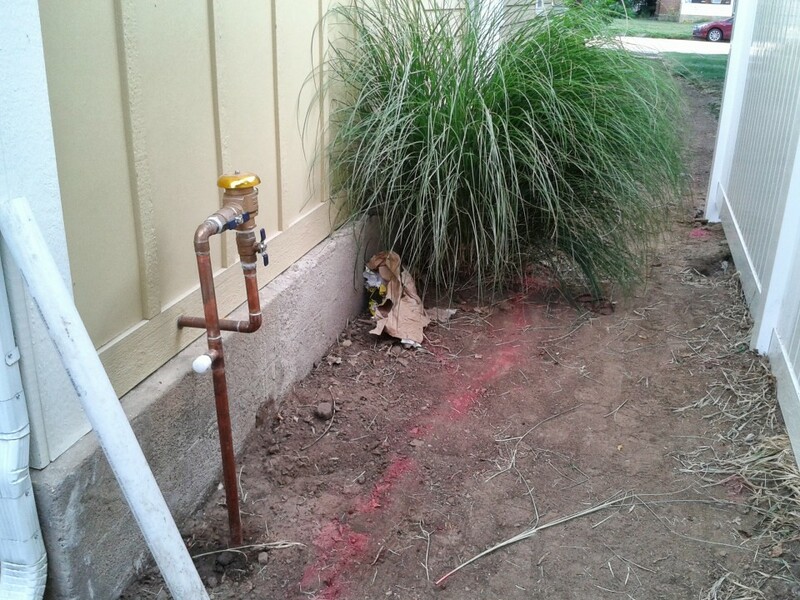 The contractor took a month and a half to do this job after estimating a two week install. He has his excuses and I won’t be spending any space here on them. Maybe not the right thing to do but compared to our lives and things that are important it was justifiable. On two separate occasions I called Cedar Supply to complain about this guy and the work he was doing to determine if there was anything they could or would do to help. 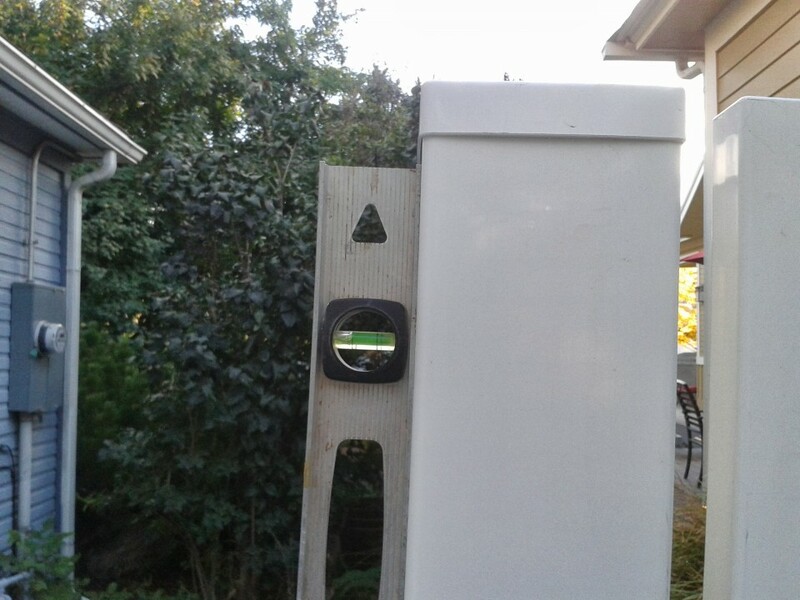 The first call to them I specifically inquired about whether they would send a representative along to determine if the installation would invalidate their warranty due to the contractor having put a corner post in where there should have been a gate post. 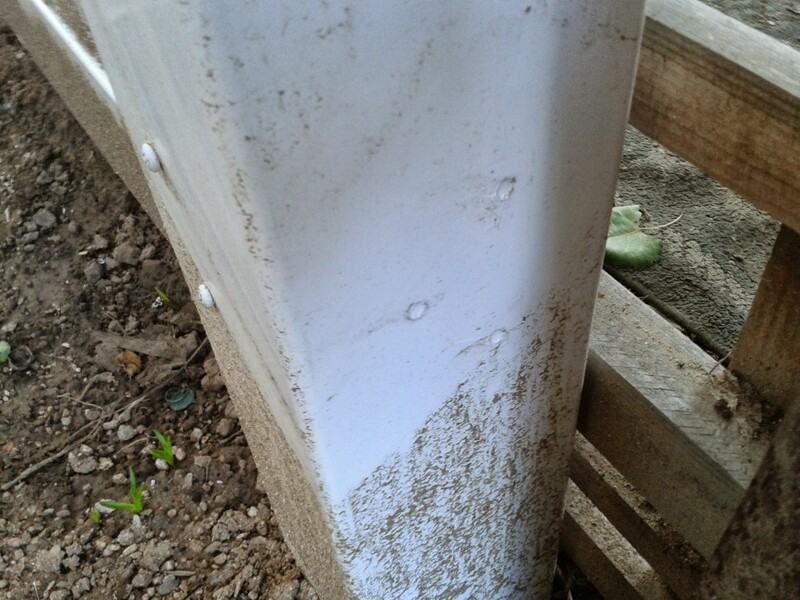 This was before the contractor decided to replace the post and hang a gate on it without letting the concrete cure. Both times my concerns met with retorts of this can be true, we’ve known this guy for a very long time and he does excellent work. That leads me to the conclusion that Cedar Supply is not to be trusted and cannot be relied upon to police the contractors they recommend. A bit late but I’m done with it now. A collection of short stories masterfully engineered by Luca Rossi and translated into English by Andrea Pakieser. These shorts range from technological intrigue involving the internet and a persons essence shaping the world in their favor like a deity, interstellar occupation by the human race but also shared with vampires, to an action packed techno spy thriller where artificial intelligences control everyone through their smart-phones reminiscent of William Gibson. Though these are all great works and would merit stand alone attention, one of the works that jumped out at me the most involved a woman tired of her failed hetero-relationships who takes on a robotic partner. Evolving in the relationship leads to her partner getting upgrades to graduate from male plaything to parental role model and best friend not unlike Robin Williams role in Bicentennial Man. There are several other stories I have not mentioned in this review but they are well worth reading. I recommend this work and look forward to this authors future ventures in the writing world. And the tour bus pulls into the station to allow all the riders a banquet of Having Nice Things. Book Review: Murder Mystery Short. This is a murder mystery private detective case book that is part of a series. It is a very short work, two hours reading time and it gets the job done with excellent editing and plot development. This could easily convert into a script for one of the crime shows that used to roll over us on the TV networks when I was growing up and here’ a big bonus. They did their research. The descriptions of chemistry processes, biotech business development, geography and forensics bring the work home and make it fun. Awesome job. The protagonist in this work is a teenager named Crystal who has suffered though her years knowing she was different but not why. Having visions and being able to cause stuff to happen when she wears a certain piece of jewelry that her mother found in the crib with her as a baby are just the glamour on the surface. Just wait and see what she self discovers once she ventures out of the ordinary world. I’m really impressed. Thank you very much Lynette for world building, creating an epic coming of age journey for a reader to be carried away with in a more meal sized package. Other than a few point of view shifts that muddle unless you immediately reread the passages I feel that this is a well thought out story and worthy of reading for ages nine and up. On a more mature literary note it is amazing how we can develop fantasies and display questions or views of race relations. I felt that it was going to get a bit preachy but the topics were presented as an undercurrent throughout the book and resolved to a side by the end. The manuscript could use another pass by an editor but so could several works I have read from Tor and Random House. I recommend this book not only for personal entertainment but as a book for discussion in groups of readers as they challenge each other to find all the plots and ideas. Widow’s War is the second book in the Sisterhood of Suns series and it picks up immediately after Pallas Athena ends. There are many stories within this epic tale. A Marionite NeoMan Marine is still the only male serving on the Pallas Athena. Lilith’s enigmatic daughter Sarah is still going into the dark places with her talents to foil the enemies of the Sisterhood and Motherthought, while training her protégé. Erin Minna Taur takes a brief leave to make a ritual journey and rediscover her name. All the political sub-stories and machinations are in full force both in the Sisterhood and in the ETR where dark secrets come into the light where the rule of man is depicted with a bias that may be over the line but still fun to read. Maya is still into Felicia, Lilith is still into Ingrit, and many others. Frankly I do not know why the Hriss and T’slakians want to both war with and enslave humans when they can just find a comfortable chair, a steaming mug of Kaffra and allow the saga to unfold around them. Oh wait a minute, that’s right. We need a creepy alien menace to unify humanity or in this series, huminity. I enjoyed reading this work and it’s prequel. My recommendation to the reader would be to try and keep your pace up because if you take a break that is too long in the middle you may feel a bit lost when you pick it up again. Excellent juggling Mr. Schiller.